I am a P&Gmom/mamanP&G. As part of my affiliation with this group I receive products and special access to P&G events and opportunities. The opinions on this blog are my own. It’s no secret that I love taking pictures. My iPhone is full of pictures of my family, pets and home. However, I rarely take “selfies”. I know some people are sharing their selfies on an almost daily basis on Facebook, but that is just not me. I’m very self-critical and rarely do I ever like a photo I take of myself. I’m not alone though. Two-thirds of Canadian women surveyed by COVERGIRL were unhappy after seeing the selfies they snapped. I’m more likely to snap a quick selfie after my hair and makeup are done. Today I’m stepping out of my comfort zone and sharing my #covermoment. 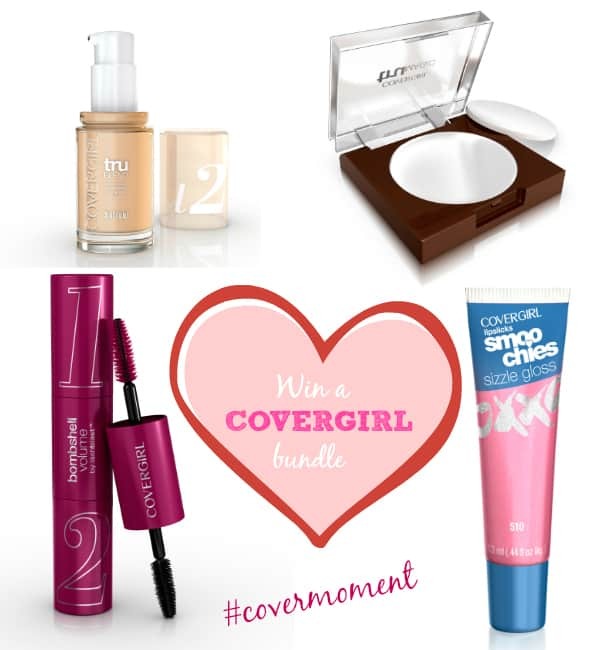 A #covermoment is defined as a moment in life when you feel most confident and authentic. 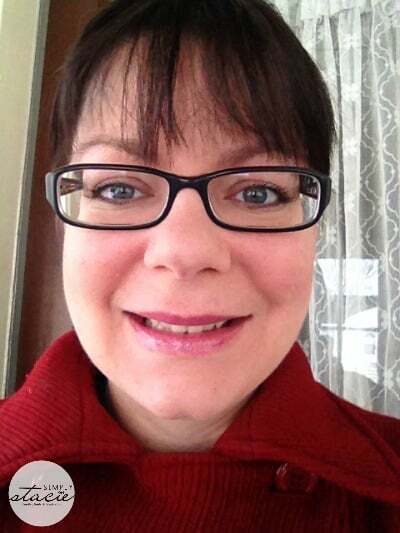 I tried out some new products from COVERGIRL and snapped a quick photo on my iPhone. I prefer a more natural look and adore the three new COVERGIRL products I received earlier this month to try out. On my eyes, I’m wearing COVERGIRL Bombshell Volume Mascara in Very Black. It has two ends: Volumize and Intensify. First you apply the Volumize side to your lashes to make them appear thicker and longer. Then comes the Intensify to make them appear darker. I was amazed at the difference. Without mascara you can barely see my eyelashes through my glasses. Now they appear longer, darker and thicker. This mascara is one of the best I’ve tried. I have extremely oily skin which is great for keeping the wrinkles at bay, but I hate my face looking shiny and greasy. COVERGIRL TruMagic Skin Perfector gives me an instant matte look and evens out my complexion. It’s a clear balm that you can apply either before or after you put on your foundation. Just apply it like you would a pressed powder. On my lips, I’m wearing COVERGIRl Lipslicks Smoochies Sizzle Gloss in Blind Date. It gives my lips a bit of shimmer and shine and keeps them moisturized in this harsh cold weather. I like that it’s not sticky and goes on really smooth. It also has a nice, sweet smell and flavour. Here’s an interesting infographic that sheds some more light on the survey conducted by COVERGIRL about Canadian women and selfies. I have taken the odd one but not as a normal daily activity. I most often take selfies with a friend – I have friends that take and post them aaaalllllll the time and sometimes it’s a bit much! If you’re a woman in your 40’s taking a picture of yourself 4 times a day and posting it on the internet………….